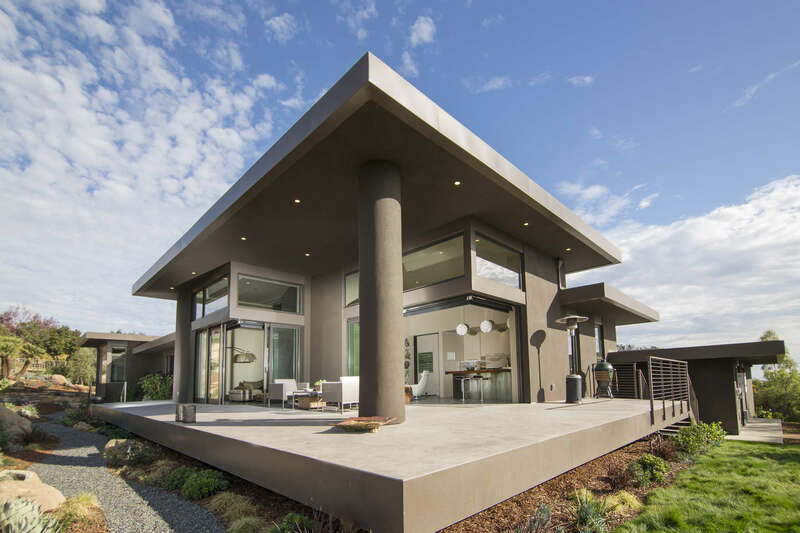 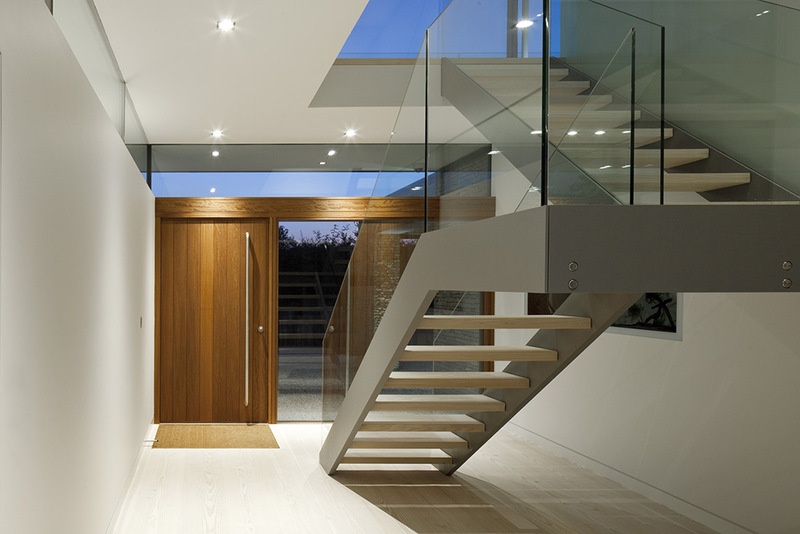 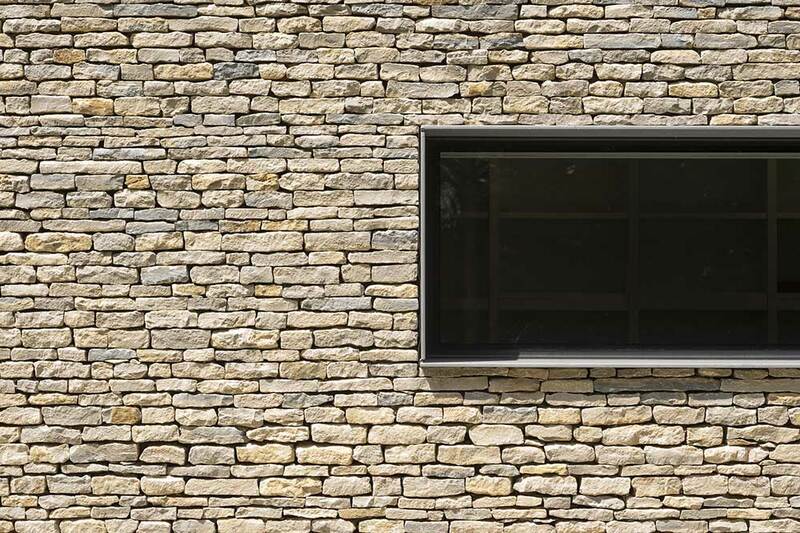 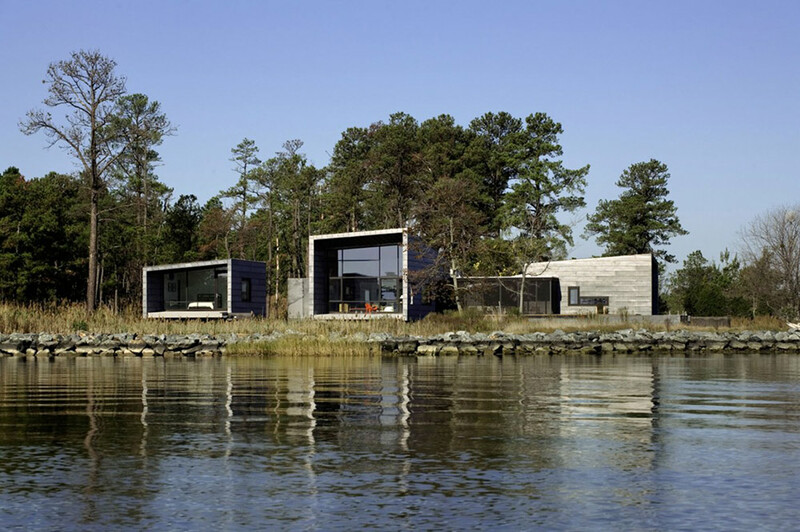 The Hurst House was completed in 2012 by John Pardey Architects & Strom Architects. 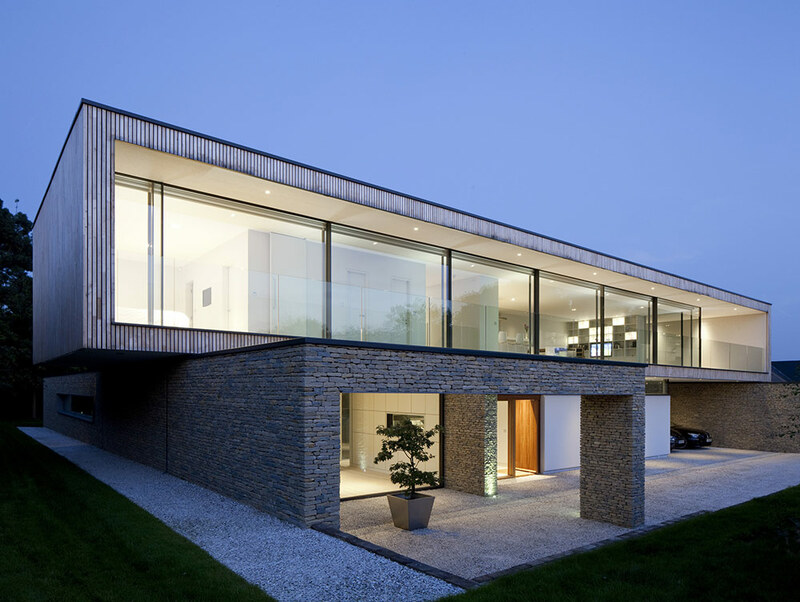 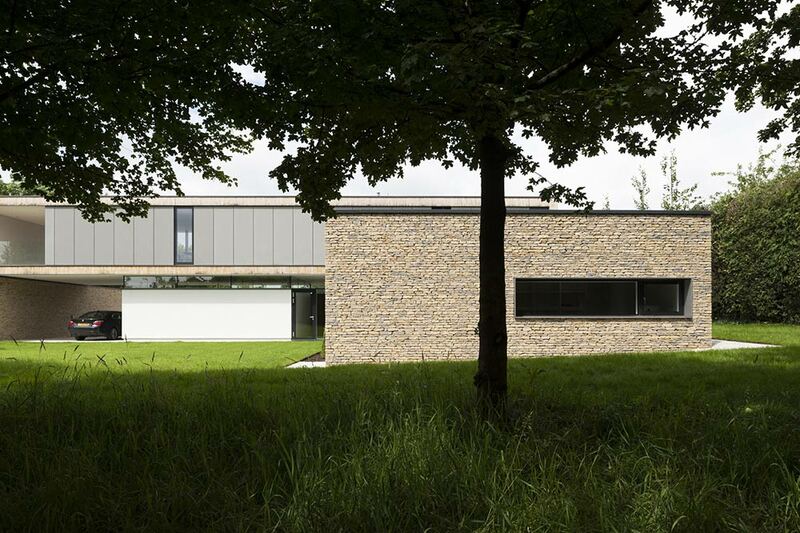 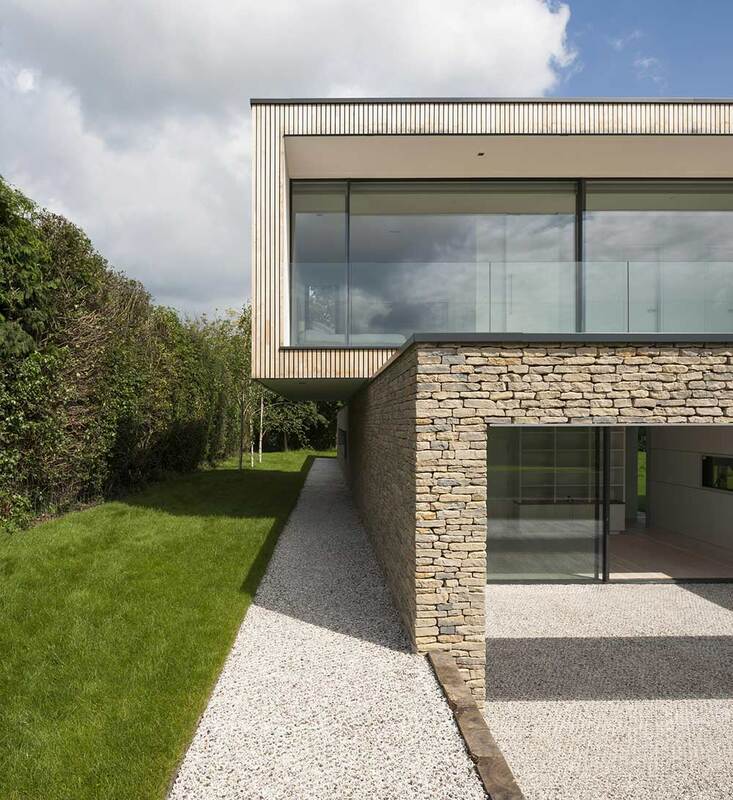 This contemporary home is located on the edge of the village of Bourne End in Buckinghamshire, UK. 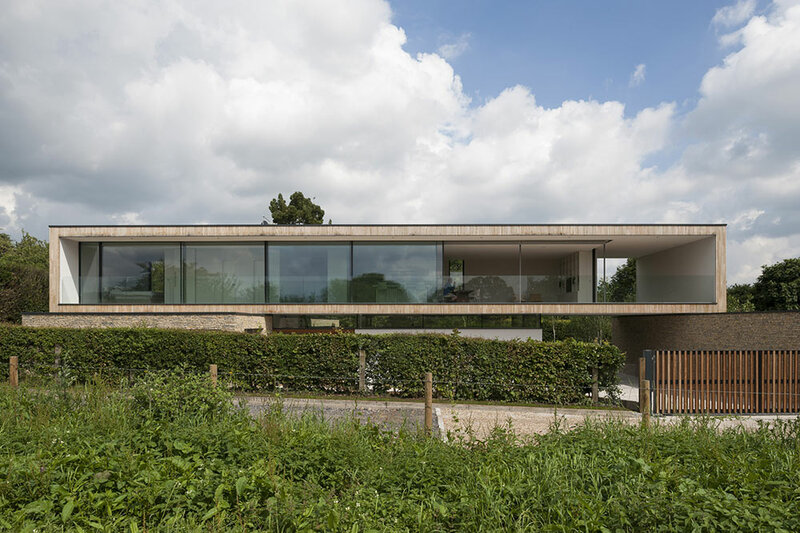 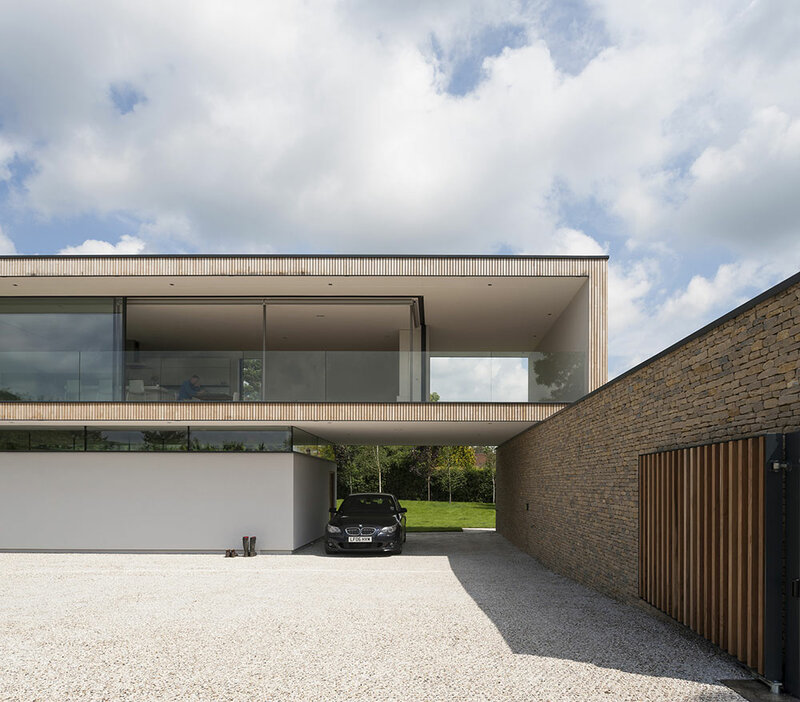 “The Hurst House is a new build one-off contemporary house located on the edge of the village of Bourne End in Buckinghamshire. 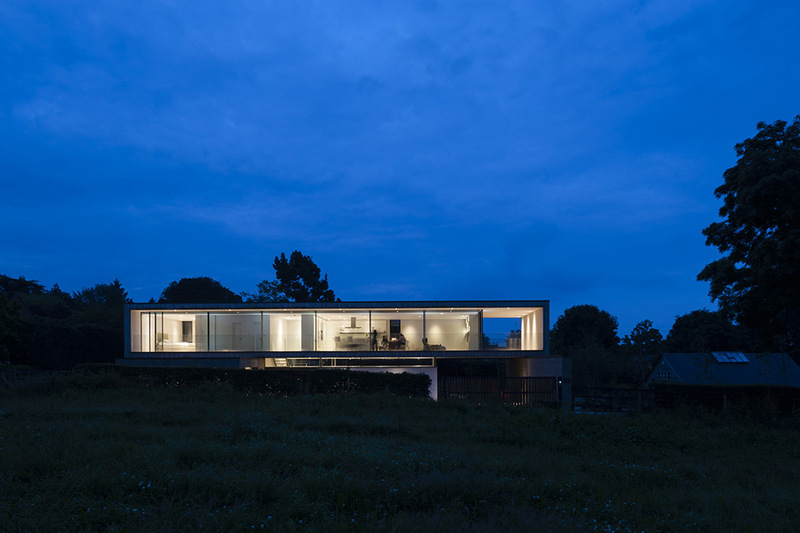 The site enjoys un-obscured views across the Chilterns Area of Outstanding Natural Beauty. 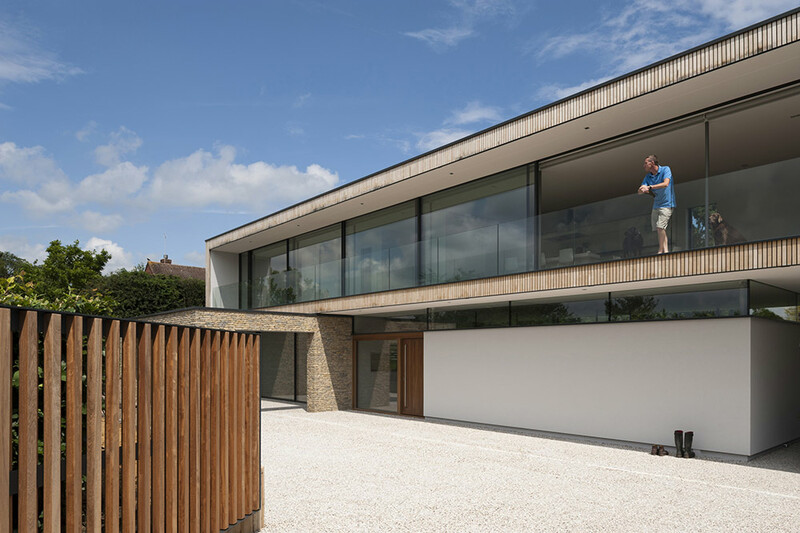 The clients’ brief was to build a very sustainable and contemporary family home that will have the flexibility to successfully cope with changing family conditions as their children grow up. 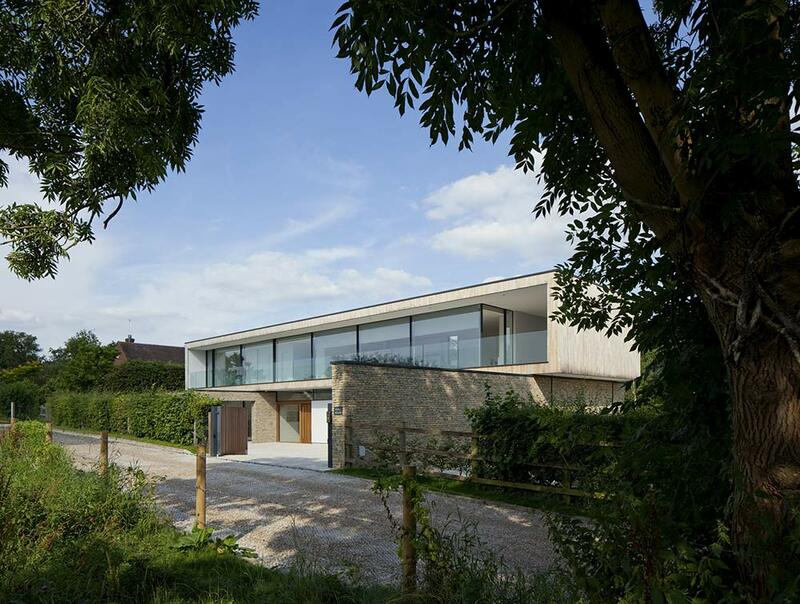 The ground floor is slightly sunken into the ground to reduce the height of the building towards the AONB and comprises the entrance, bedrooms – which open up onto a private south/ east facing enclosed garden – utility areas and carport. 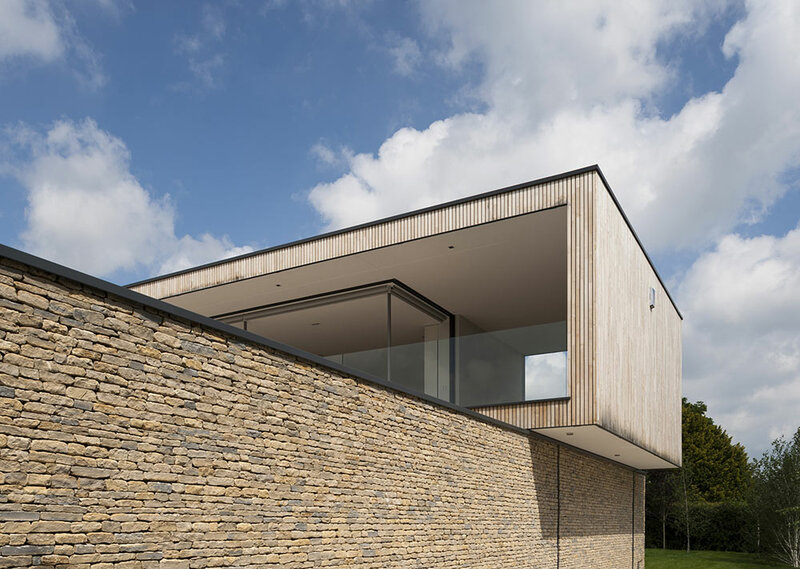 A lightweight steel and timber volume at the first floor contains living, kitchen and dining spaces, as well as the master bedroom suite, maximising the opportunities of the site and the views west. 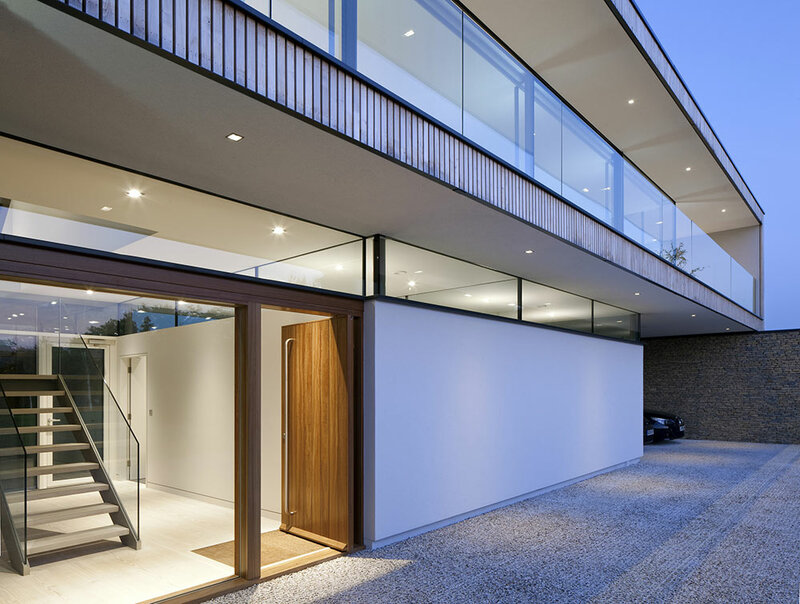 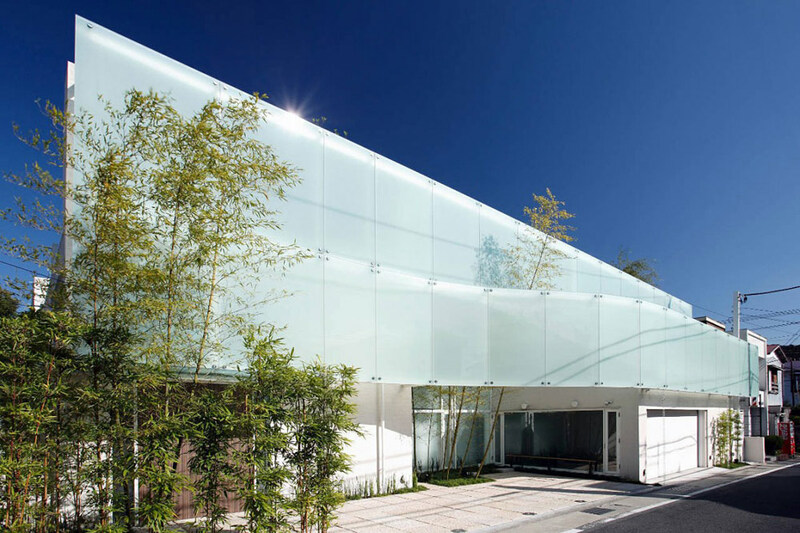 A linear balcony along the length of the building allows the facade to open up, and the recessed floor to ceiling glazed sliding panels to be shaded in the summer. 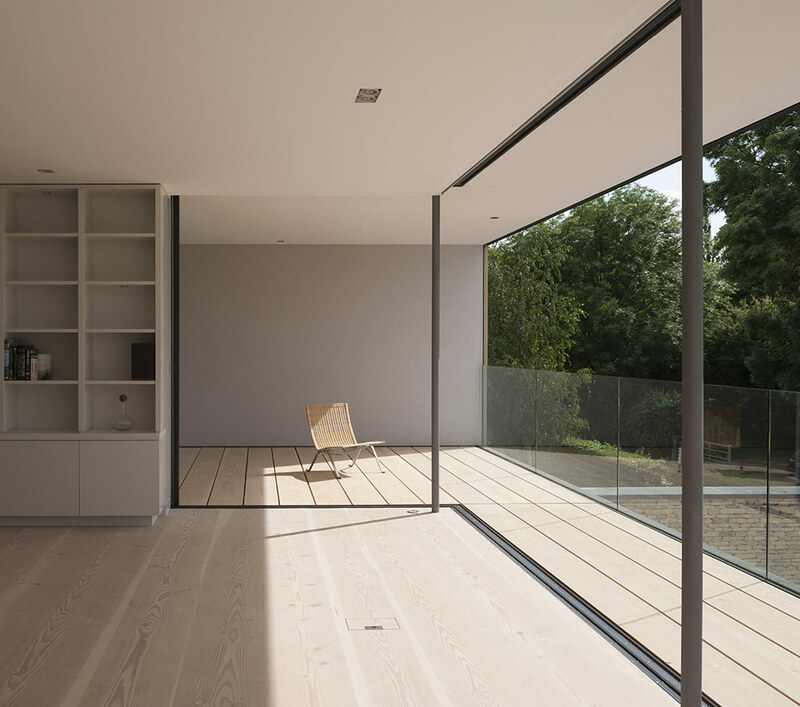 At the southern end of the first floor volume the glazing is pulled back to create an outdoor living area which is open to both the east and the west allowing the sun to reach it at different times of day. 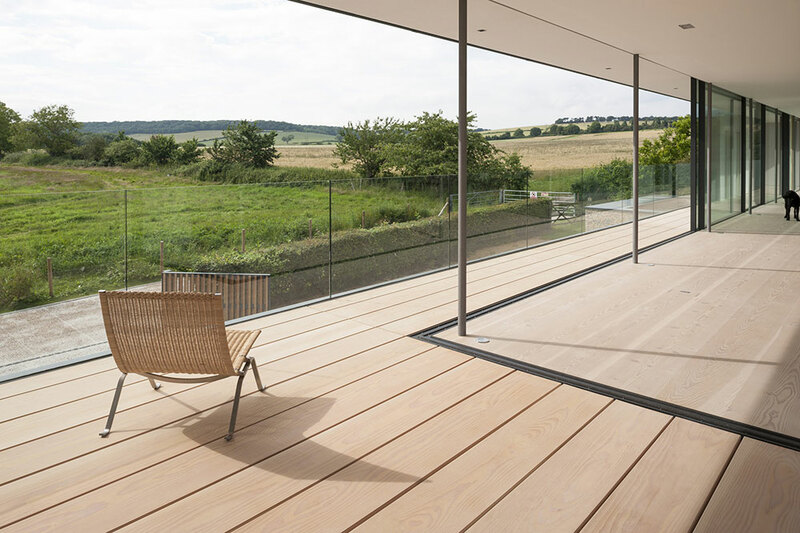 Full height sliding screens provide additional solar shading and privacy. 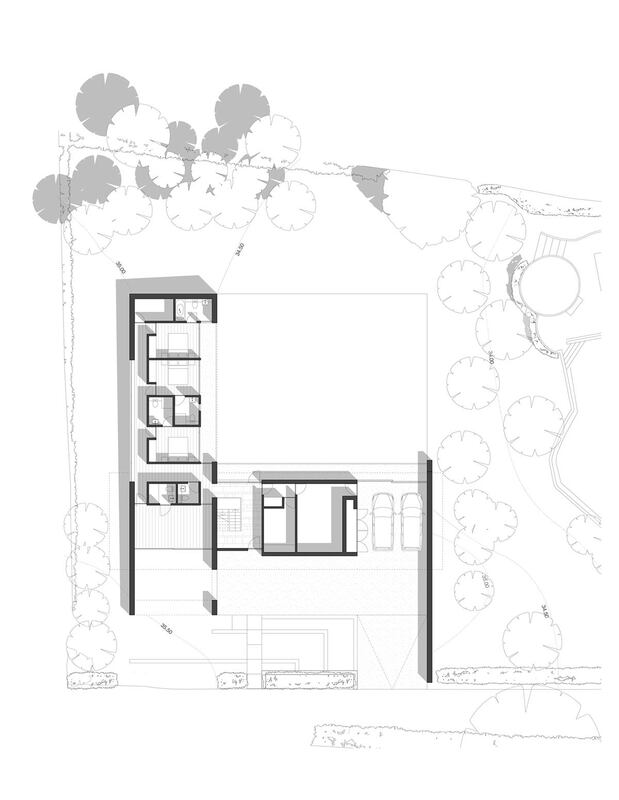 The environmental impact of the house was considered from the outset, and along with a sustainability consultant, we are developing a renewable energy strategy.